Here’s a good opportunity for Sri Lankan RedHat enthusiasts to meet up with the Linux expert, Arun Eapen CISSP, RHCA, RHCSS, RHCDS, RHCVA, the Technical Delivery Manager & Certification Poobah at RedHat, India. With more than 18 years of industry experience, Arun is the first in the SAARC region to be certified as a Red Hat Certified Architect, Red Hat Certified Security Specialist, Red Hat Certified Datacenter Specialist and Red Hat Certified Virtualization Administrator. Entrance: Complimentary seats can be reserved. For more details, contact the PACE Institute. 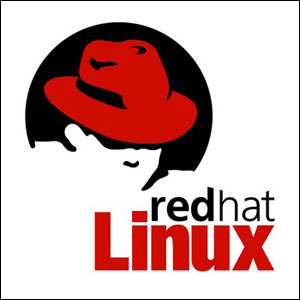 Yes, you can install Red Hat Enterprise Linux (RHEL) on Ubuntu using a VM such as VirtualBox. So where do we start? First let’s get VirtualBox installed on Ubuntu. This is really easy. Just click on the Ubuntu Software Center and search for VirtualBox. Once it’s found, just click install and all the needed files get downloaded and installed without a hassle. Okay, now that you have VirtualBox, you need to download the iso file for Red Hat. Now depending on you PC, you need to download either the 32 bit or 64 bit version. This is important, because even if you have a 64 bit version of Ubuntu, you would need to check your system. Note, VirtualBox will not allow a 64 bit version to be installed on 32 bit system so be doubly sure before you download. So how long would this take? That would depend on your network of course. In my case, it took around 2 hours on a 4G wireless broadband. Not bad at all! Once done, you can start using Red Hat. Well done and welcome to the world of RHEL! You are currently browsing the archives for the Red Hat category.